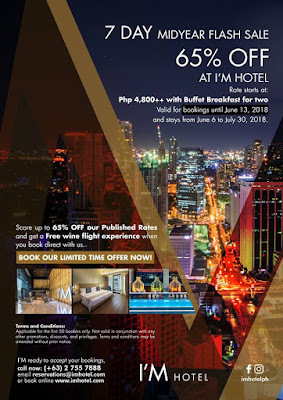 Check out I'M Hotel Mid-Year Flash SALE. 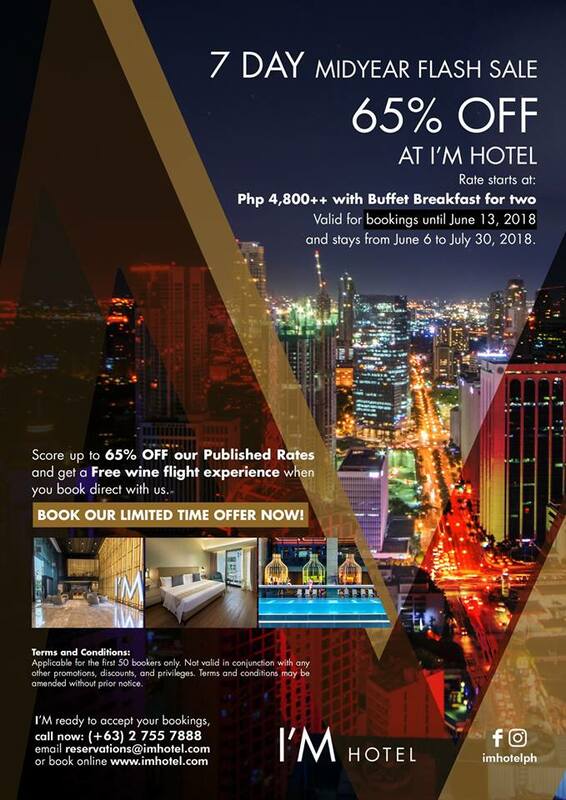 Book NOW until June 13, 2018 to enjoy up to 65% off their published room rates, for stays until July 30, 2018. 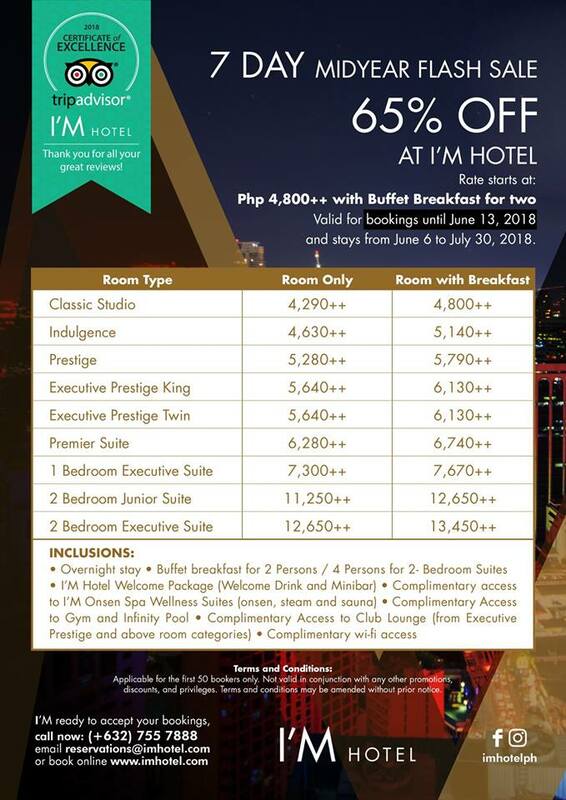 BOOK NOW by visiting www.imhotel.com or emailing: reservations@imhotel.com.